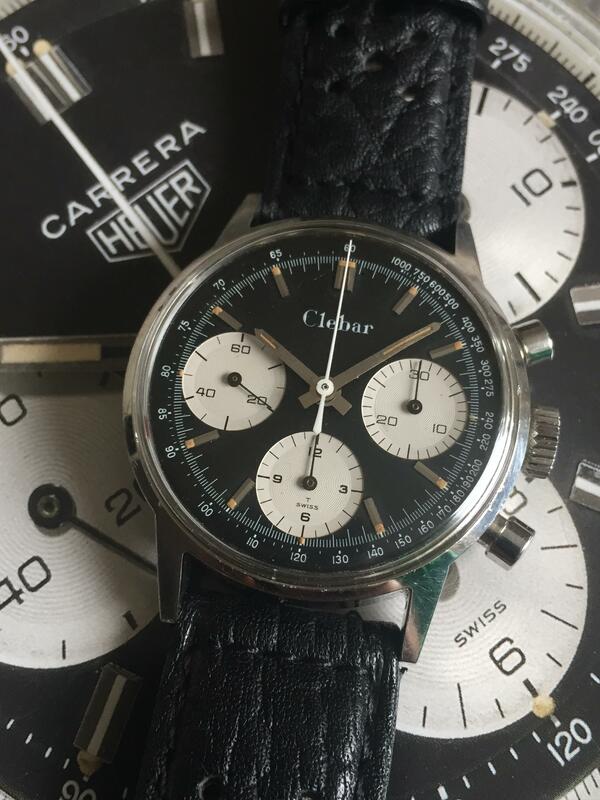 Up for grabs is my beautiful Clebar “Heuer” made 2447. The Watch is in great un-polished condition, and works well. Serial number visible between the lugs. Looks amazing on the wrist. UK based £1950 inc shipping.